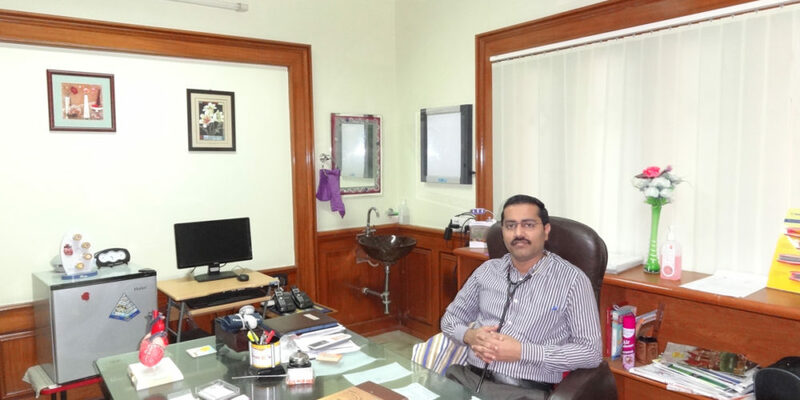 Cardiology – Hariharan Diabetes & Heart Care Hospitals (P) Ltd.
Madras Heart Centre, a unit of Hariharan Diabetes & Heart Care Hospitals (P) Ltd., houses one of the most modern comprehensive heart care facilities in the city of Chennai. The department has to its credit around the clock in-house Interventional Cardiologist, Dr. R.H. Sundar and the entire emergency heart attack team who are available 24 hours to treat any cardiac emergency. The Cardiac Catheterization Lab has the most modern flat panel fixed Cath lab system with the highest quality. The procedures performed in the Cath lab include Coronary Angiogram, Coronary Angioplasty, Primary Angioplasty for heart attack, Peripheral Angiogram and angioplasty, Balloon Valvuloplasty, Permanent Pacemaker Implantation, Cerebral aneurysm coiling, Electrophysiological study and Radio Frequency Ablation. This is one of the few cath labs in Chennai to have 24 X 7 Primary Angioplasty facilities. The centre has 8 bedded Cardiac Critical Care Unit with highly trained intensivists and paramedical personnel. The centre has one of the busiest outpatient cardiology services in the city of Chennai. The outpatient services include ECG, ECHO, TMT, Holter, ABPM, Computerized Laboratory and a very comfortable waiting area. The centre also offers comprehensive master health checkups on a daily basis. The centre is also recognized by almost all insurance companies including Chief Minister’s Comprehensive Health Scheme.